A Backwards Progress - Homestead Edition: My first knitting pattern! I published my first knitting pattern on Ravelry recently! 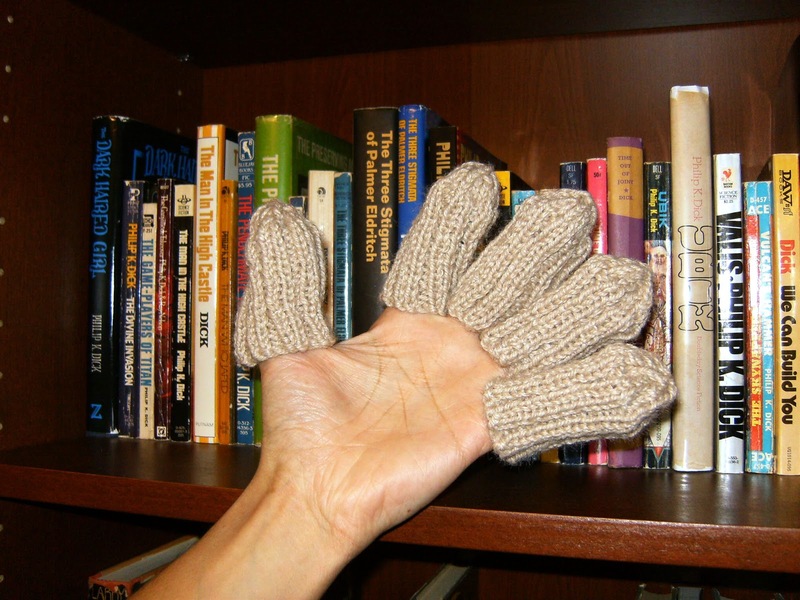 The pattern is for Hand-less Gloves! So practical. 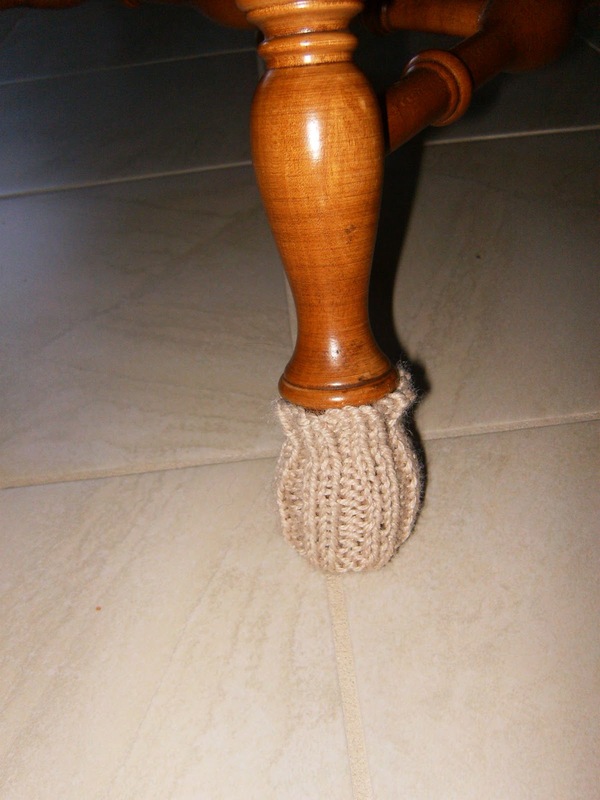 The pattern was actually for Chair Socks. My grandmother got a new floor and new chairs in the kitchen and wanted to prevent scratches. Rather than use those screw in felt pads, which collect hair and dirt - she wanted these so that she could just throw them in the washer when they needed cleaning. My Memere is nothing if not clean and tidy! I tried knitting up a pattern that I had found on Ravelry but it wasn't clear and simple to me. So I just combined a ribbed height with decreases at the bottom in stockinette modeled on a mitten I was making at the time. Just for the heck of it I decided to share the pattern for free on Ravelry. Imagine my delight to see a few weeks later that it has been "favorited" 42 times! If you are a knitter who hasn't used Ravelry, I would highly recommend it as a great place for patterns (many free) and resources. If you are on Ravelry, don't be shy to share a pattern you've created - it's easy and who knows how many people will appreciate your pattern!